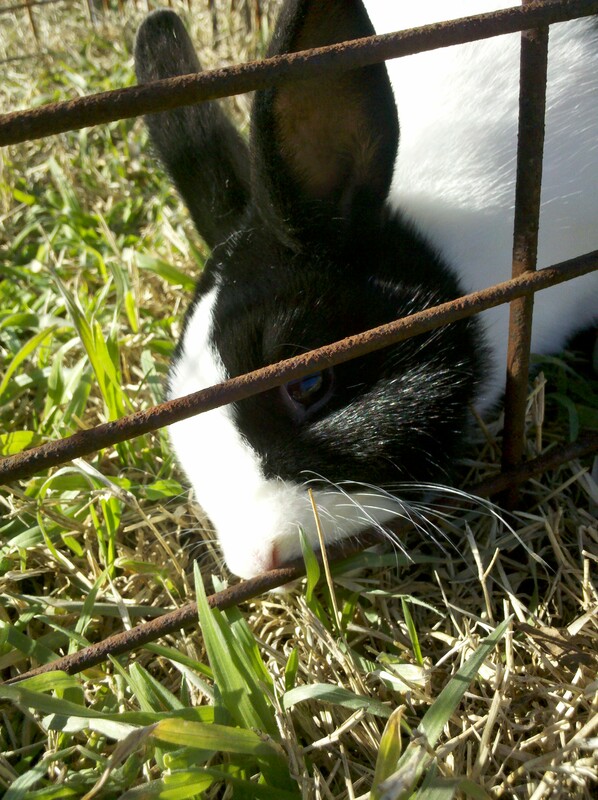 The Care and Keeping of Cute….Bunnies! 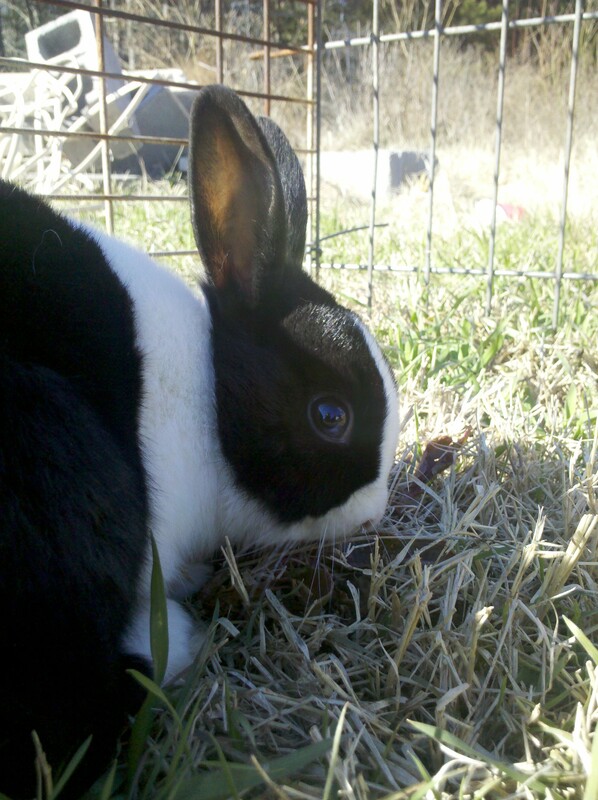 It was warm enough yesterday for my two little bunnies to have an outdoor foray! 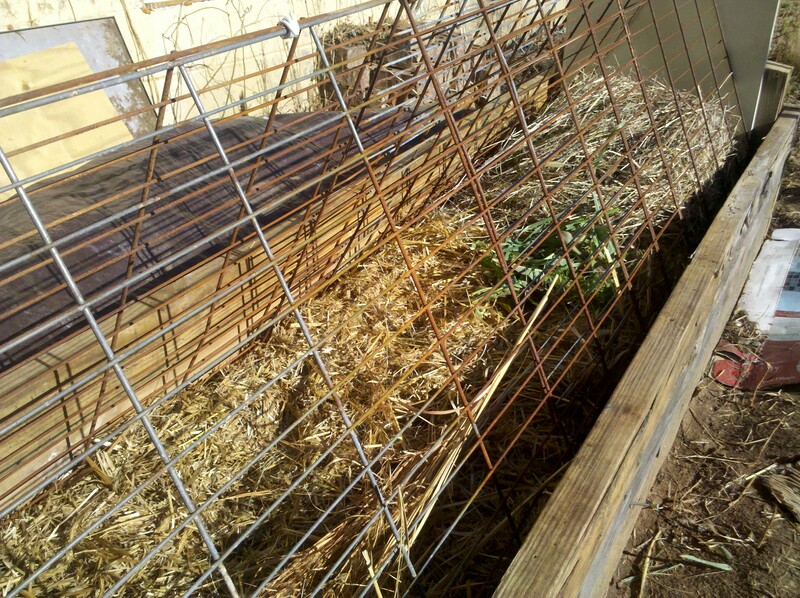 I was also able to complete the first raised bed/Rabbit Tractor, therefore the bunnies will now have a new outdoor home, while helping me complete the cottage garden of my dreams! (or at least help me grow some food for my table:)Keep in mind this is only a temporary set-up, I intend to plant Jerusalem Artichoke (otherwise known as a Sunchoke), which is a perennial vegetable, in this particular bed. When I figure out the measurements of the annual veggie beds I will build a tractor to fit them. Now, as promised, pics of the cutest little bunnies on earth, the completed garden bed, and a little information on the care and keeping of bunnies! I have no idea if this is Freya or Thor, they look just alike! One of the first things you should focus on is the Health of your rabbit. A Healthy Rabbit has clear eyes with no discharge, notice how this one’s eyes are so clear they act as a mirror reflecting me taking a picture of him. The bunny should have a clean soft coat with no crusty build-up on it’s feet, no discoloration in the ears and nothing, ummm…unsanitary stuck to its behind. They both loved being outside! One easy way to tell if your Rabbit is eating enough is to pet it! Stroke your rabbit from its head to its tail, running your hand right dow the middle of it’s back. Try to feel it’s spine. The spine should feel smooth and rounded on a rabbit with a healthy weight. If it feels sharp and pointed, the rabbit is too thin. If you cant feel the spine at all, the rabbit is too fat! Adjust the amount of food accordingly. Its good for both your cute little bunny and you if you do this each day at feeding time, your friend gets some extra attention, and you get an overall health report. I purchase all of this at my local Ingles in the bulk section, though it would be better if you lived near a Whole Foods or local Natural Grocer…you’d probably get it cheaper! You can find the alfalfa in the herbal section. 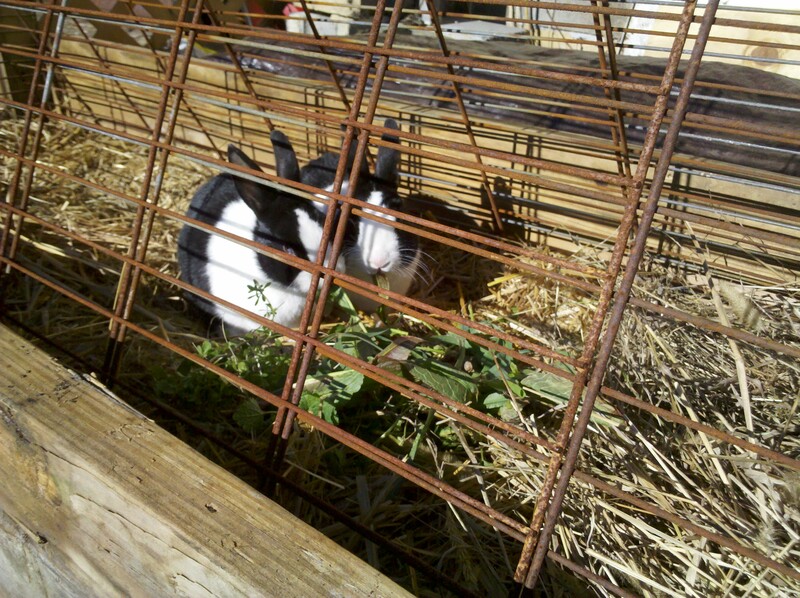 The finished temporary Rabbit Tractor. They moved in yesterday and seem to be enjoying their new home. The Garden bed is about 7ft. long by 2 ft. wide, thats 14 square foot of play room. Give your Rabbits lots of room to play! 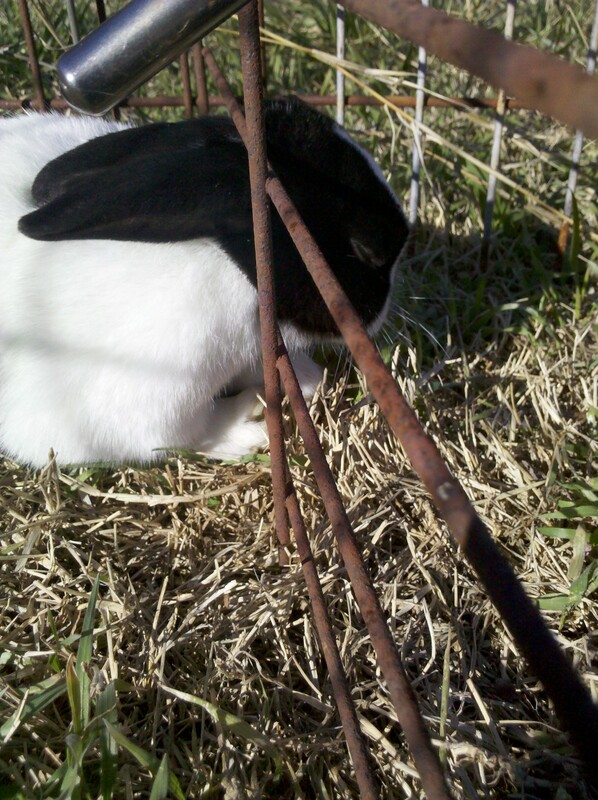 A good rule of thumb is one square foot to each pound your rabbit weighs. Our rabbits weigh about 4 pounds each and we’ve provided about fourteen square feet of play room. Theyll probably get more with our next raised bed. If your moving your rabbits, to keep it from being to traumatizing, have some yummy greens and their water all setup beforehand. When I put Freya and Thor into their new home they went straight for the greens without a second thought! 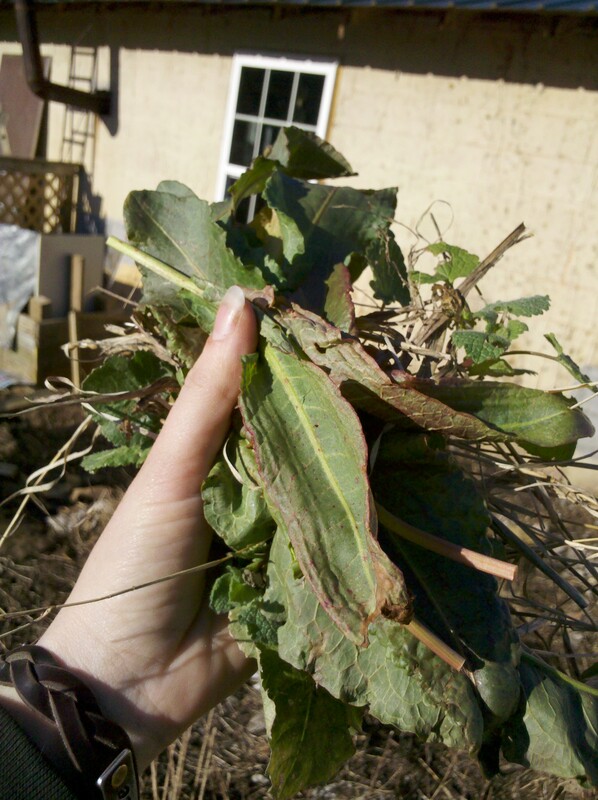 All of this stuff probably grows wild in your yard. The top is Yellow dock Greens. *Grasses, anything that looks good to you! Be sure not to use anything that is sprayed with chemicals, and make yourself a salad while your at it! They make great lawn mowers! A Healthy adult rabbit can survive temperatures well below zero, but they are most comfortable at teperatures around 50-69 degrees F ( 10-20 degrees C) You should always protect outdoor rabbits from winds and precipitation because nothing really likes to be wet and cold! For southern climates, one way to beat the heat of the summer is to fill up an old water or cola bottle, freeze it and place in the pen. The rabbit will lounge up against it during the warmest moments. Its also polite to provide your furry friends with some shade! 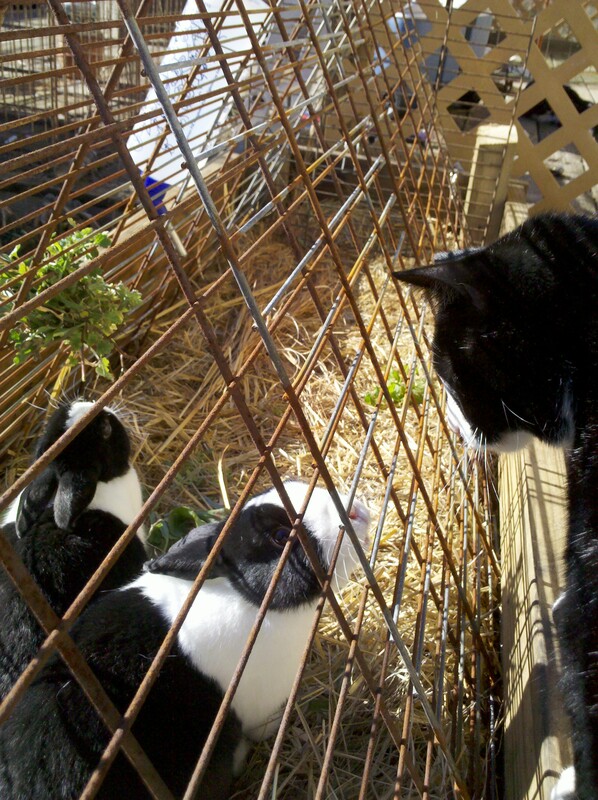 And to the most awsome pic of all, Rabbits and Kitties! The rabbits and cats had created a game in the house in which the rabbit would chase the cat, touch it with its nose and run. The cat would then chase it, swipe at it, then the rabbit would be "it" again. This is them getting re-aquainted! 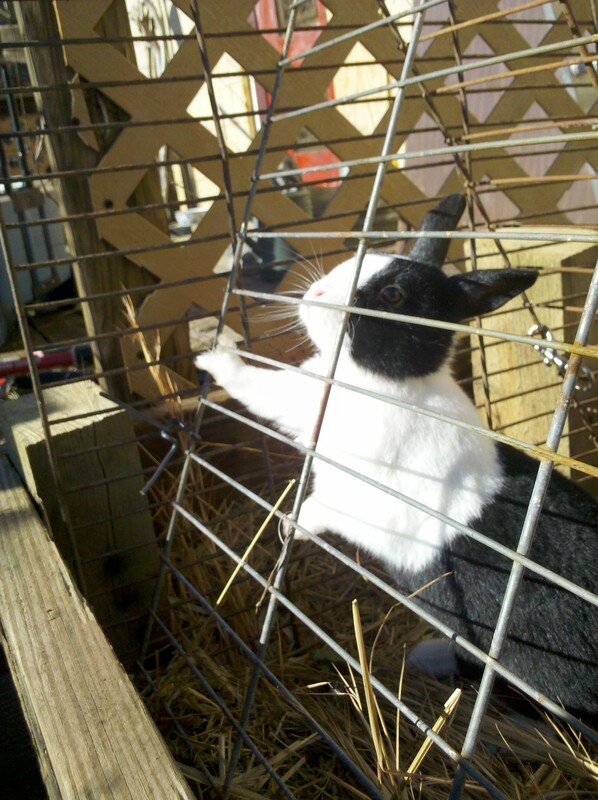 Rabbits are a great begining choice for small farms and homesteads. They can be raised for meat production, fiber, as lawn mowers, and just plain easy to care for pets! Plus they make great Easter presents for your children, they bring joy and teach the responsibility of caring for an animal, something I think is greatly lacking in the future generation’s education. Rescue one from a farm auction, purchase from registered breeders, support your local 4-h and buy from a child who raised them for a fair, any way you go, you will be supporting your local community and yourself at the same time! I know I don’t normally post in the middle of the week but the pictures were too cute for me to resist! If I’ve missed any basic care info, please let me know! Hello, I like your blog post, you offer a lot of good advice in it (and your rabbits are very lovely :); however, I object to the suggestion that rabbits make great Easter presents. A lot of prominent rabbit rescue organisations say that the number of abandoned rabbits rises significantly every year in the months following Easter. In a way, it’s no wonder, as rabbits aren’t toys, but living beings: sure, they’re cute and soft, but (as you know) they require daily care and can live more than 10 years. A lot of people who buy rabbits as Easter presents aren’t thinking about this, or about how rabbits (like all pets) are a responsibility, and making a gift of a responsibility isn’t very fair – in this case, not just to the child who may be unwilling or unable to shoulder this responsibility, but also to the animal who now may suffer neglect (or even abuse) at the hands of their unwilling owner… as many do every year. A lot of these rabbits are purchased on a whim, and their new owners don’t know how to care for them. Rabbit organisations have been running campaigns against this practice for years now, like the HRS with “Make Mine Chocolate!” So, that’s why I think it’s not a good idea, promoting giving rabbits as gifts. Thanks Nicole, for the comments, and the suggestions. I was hoping to somehow put forth the suggestion that more children need to have the responsibility of raising and caring for an animal as either a pet or as livestock (I.e food). I probably worded it wrong and still can’t figure out how exactly to word my suggestion without putting forth the image of families buying rabbits by the thousands only to find out they can’t care for them properly! I only suggested Easter because I remember Finding the cutest little bunny when I was a child on Easter morning right next to a homemade rabbit hutch. 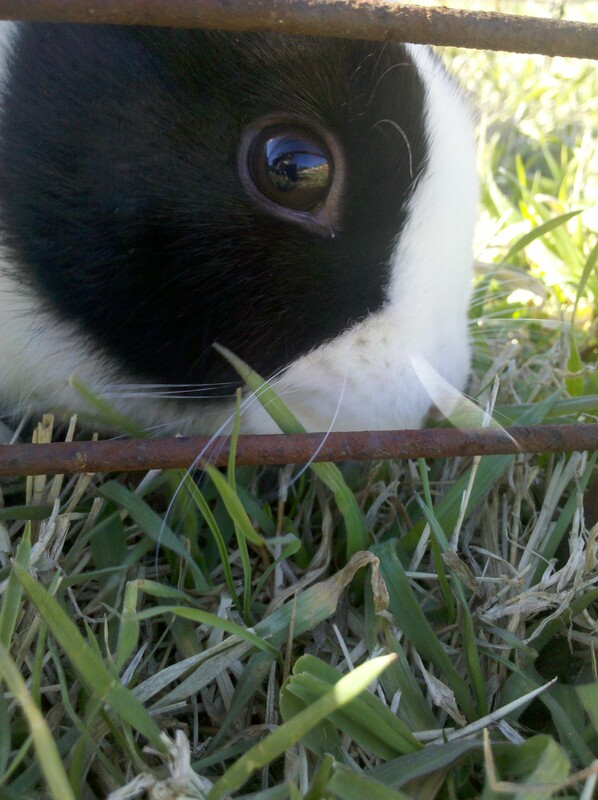 We raised and kept the rabbit as a pet until it finally died of old age . Perhaps you can help me word my suggestion of Responsibilty in a more proper way:) thanks! Thanks for considering my points. I understand your side, too. I think it’s good we’ve had this conversation because now people might see it and think twice! I agree, there needs to be an open dialog when it comes to issues concerning animals, especially the treatment. Parents need to become more involved in the education of their children and caring for any animal or even plants should be a part of their education, teaching compassion and responsibility. But parents also need to realize that if their child refuses to take responsibility for the pet, that responsibility belongs to the parents,then. Leading and teaching by example is very important and once the child sees the parent caring for and having so much fun with said animal, the child will most likely follow suit. Thanks for the comments, and for watching out for our fuzzy, furry friends out there! This blog has got lots of very useful stuff on it. Cheers for helping me. 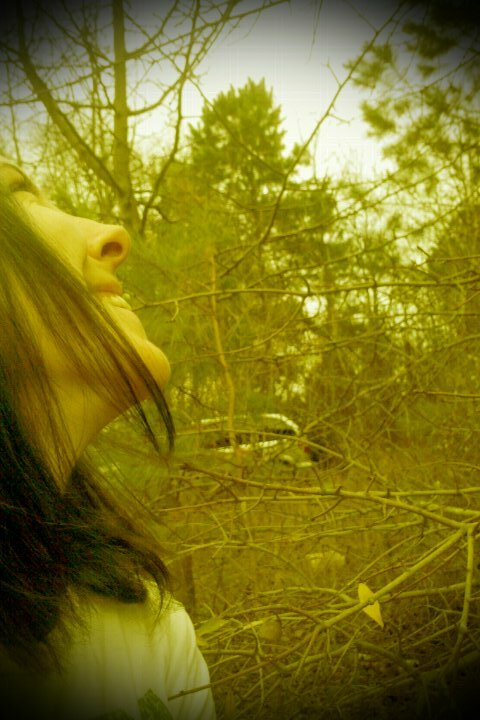 Strange , your post turns up with a dark hue to it, what color is the primary color on your web site?